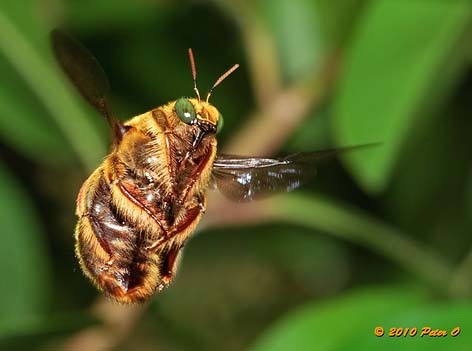 The 15-24 mm Great Carpenter Bees are the largest bees in Australia! They cut nest burrows in soft timber such as dead limbs of a mango tree. 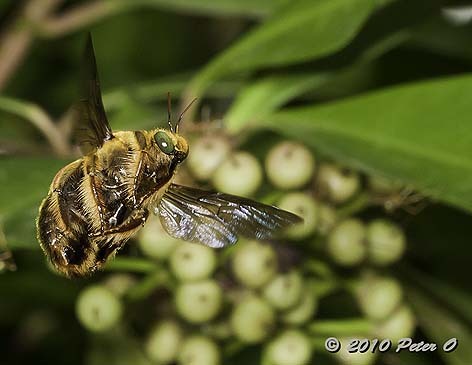 Above: this beautiful photograph of a female Great Carpenter Bee was kindly contributed by Peter O. The males of the Great Carpenter Bee have quite different colouring. They are covered with soft golden fur. 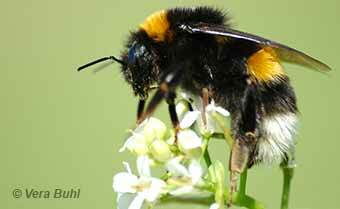 'Peter O' also kindly contributed the following stunning photos to the Aussie Bee website. 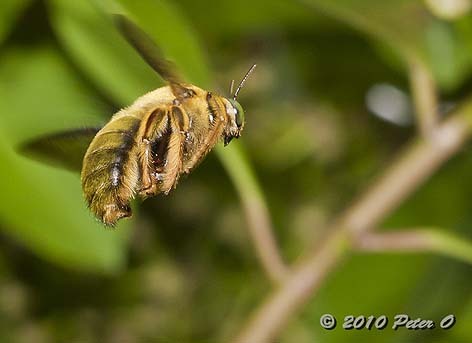 They show the male of the Great Carpenter Bee (Xylocopa), captured in mid flight! 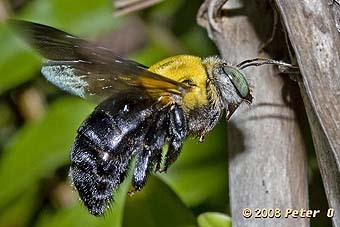 The Xylocopa Great Carpenter Bees belong to the family Apidae. They are found in northern and eastern areas of Western Australia, Northern Territory, Queensland and New South Wales. More Photos of Great Carpenter Bees. 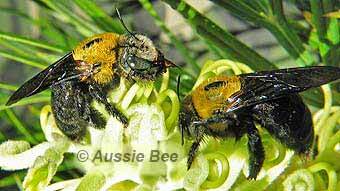 Galleries of Other Native Bee Photos.